A new short film has been released for the Hindi-speaking community, designed to encourage acceptance of dementia as a medical condition, and not a normal part of ageing. This is the latest in an award-winning series of films aimed at a number of non-English speaking communities in Australia to help de-stigmatise and promote awareness of the condition. The film was developed to help dispel myths and educate the community about the condition. The film provides up-to-date information on dementia through interviews with Hindi-Australian doctors, carers, counsellors and the stories of the friends, families and carers of people diagnosed with dementia. Dementia Australia counsellor Vandita Nijhawan said in the Indian community there can be shame when talking about things that happen within the house to outsiders, particularly when it affects the brain. “Dementia is nothing to be ashamed of. 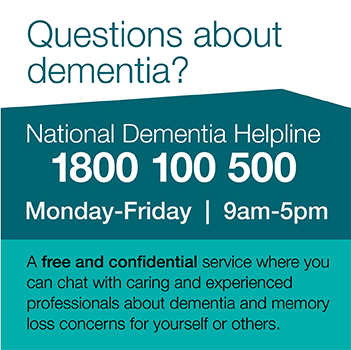 I encourage people to use the free services available through Dementia Australia, which include translations of information about dementia,” Ms Nijhawan said. The video reassures friends and families of those diagnosed with dementia that feelings of shame or embarrassment can be alleviated by understanding that dementia is a common disease, such as heart disease or high blood-pressure. The ‘It’s Not a Disgrace It’s Dementia’ series of films are short and family-friendly, running at around 15 minutes in length. They are available in Spanish, Italian, Portuguese, Mandarin, Arabic, Serbian, Cambodian, Vietnamese, Assyrian, Croatian and Ukrainian, each with English subtitles. This latest film has been produced by Dementia Australia in partnership with Why Documentaries and the Multicultural Communities Council of the Illawarra. 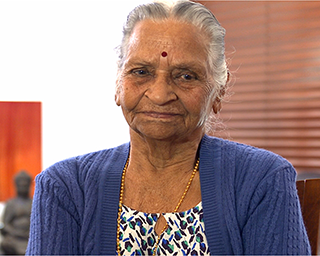 Dementia Australia would also like to thank Sri Om Care and the Australian-Indian Aged Care Support Holistic Association (AASHA) for their participation in the filming.